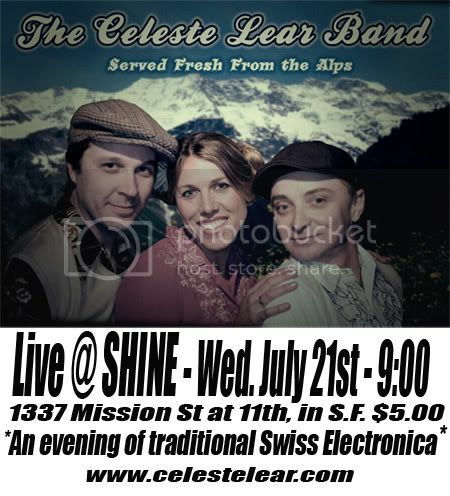 Please come see me as funky little Swiss Miss at SHINE in S.F. this Wednesday, July 21st. We go on at 9:00. cover is $5.00. We love you! Celeste Lear LIVE at Red Devil Lounge in San Francisco! A Day in Bangkok, Siamese Dreams and Other Celestial Travel Junky Journal Entry Delights from Thailand!